Against a backdrop of war, natural disasters and terrorism, the World Cup has flourished from an invitational event involving 13 nations to a competition between 200 teams from all over the world. Thirteen teams entered the first ever World Cup tournament in Uruguay. Due to the difficulties in travelling to South America, only four European teams chose to take part. Lucien Laurent of France is credited with scoring the first goal in the World Cup in a 4-1 win over Mexico. All matches were played in the city of Montevideo. 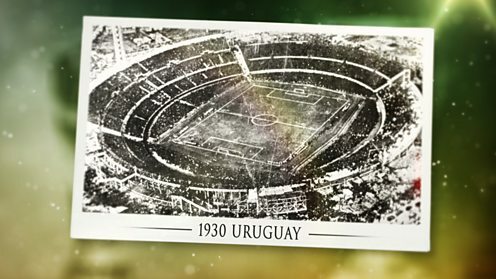 Hosts Uruguay beat their neighbours Argentina 4-2 in the final in front of a crowd of 93,000. For the first time teams had to qualify for their places at the World Cup. Thirty two nations entered the competition, with 16 teams reaching the finals. Future winners Italy, Germany and Spain all made their World Cup debuts. All matches at the 1934 World Cup were played as part of a knockout tournament. 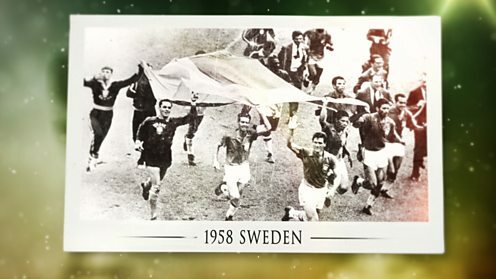 The final between Italy and Czechoslovakia ended in a 1-1 draw, meaning that for the first time the title would be decided by playing extra time. Italy scored after five minutes and hung on to secure their first victory. The World Cup was held in Europe for the second time in a row. This was a decision that caused controversy in South America and led to Uruguay and Argentina withdrawing from the finals. Indonesia, then known as the Dutch East Indies, became the first Asian team to qualify for the tournament. The 1938 World Cup was again a knockout competition. Italy retained the trophy after a 4-2 win over Hungary. 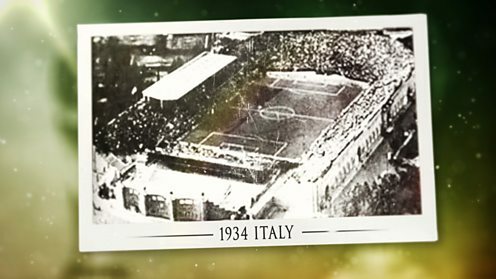 During the Second World War, the trophy was hidden by Italian Fifa official Ottorino Barassi in a shoebox under his bed. After re-joining Fifa in 1946, the 1950 World Cup saw England playing in the finals for the first time. Despite being favourites to win, England suffered a shock 1-0 defeat to the USA and were eliminated from the tournament after another loss to Spain. In the first tournament after the war, Japan and Germany were banned from the finals although defending champions Italy were allowed to return. All matches were played in two group stages. Needing only a draw in the final deciding match, host nation Brazil lost 2-1 to Uruguay in front of 200,000 stunned spectators in the Maracana Stadium. Scotland reached their first World Cup finals in 1954. Also appearing for the first time was the newly formed West Germany. Without a professional league at that time, the West Germans were effectively an amateur side. Led by their inspirational striker Ferenc Puskas, the Hungarian team known as The Magnificent Magyars were early favourites to win the tournament. 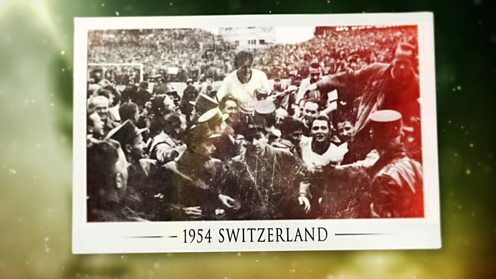 The Germans emerged victorious in the final against the Hungarians, winning 3-2 in a match which became known as ‘The Miracle of Bern’. A controversial offside decision by Welsh linesman Benjamin Griffiths denied Puskas an 88th-minute equaliser. For the first time the Soviet Union qualified for the World Cup finals. 1958 also saw England, Scotland, Wales, and Northern Ireland all qualify for the first and so far only time. The tournament remains the only one for which Italy have failed to qualify. A 17-year-old Pele made his World Cup debut: at the time he was the youngest player to appear in the finals. Hosts Sweden reached the final where they met Brazil. Despite Sweden taking an early lead, Brazil finished the match in emphatic style winning 5-2 with Pele contributing two goals. After two consecutive finals in Europe, the World Cup moved back to South America and to Chile. 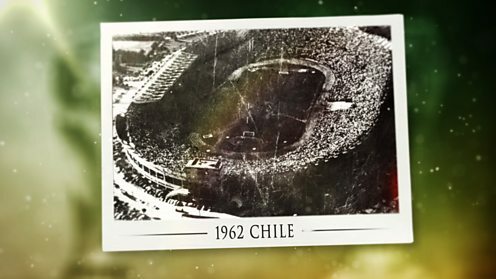 After the 1960 Valdivia earthquake, many match venues were dropped by the organisers and many other stadiums needed repairs. Now a star at Real Madrid, Hungarian player Ferenc Puskas changed his nationality before the tournament, appearing for Spain. Despite the absence of Pele through injury for all but two of their early group games, Brazil retained the Cup with a team inspired by Garrincha and Amarildo. As in 1958 they went behind early in the final but recovered to beat Czechoslovakia 3-1. From: Can we tell the story of postwar Britain by our haircuts? Months before the tournament, the Jules Rimet trophy was stolen. A week later it was recovered thanks to the efforts of a Collie dog named Pickles. Portugal and North Korea made their World Cup debuts in 1966. Originally from Mozambique, then a Portuguese colony, Portugal's striker Eusebio was the top goalscorer of the tournament with nine goals. England met West Germany in the final at Wembley Stadium in front of 98,000 spectators. 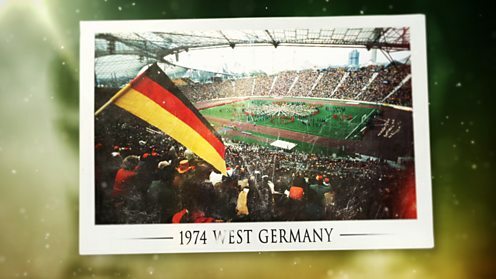 With England leading 2-1, West Germany scored an equaliser to send the match into extra time. As every England fan knows, a hat trick from Geoff Hurst made the score 4-2 and won England their only World Cup. Some people are on the pitch; they think it's all over... It is now! 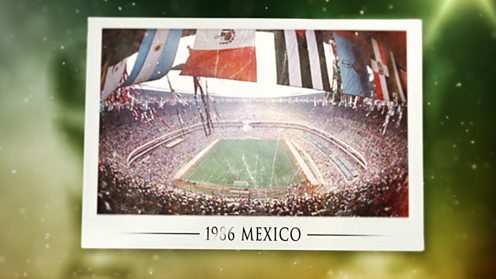 The 1970 World Cup in Mexico was the first to be held in North America. After being the victim of harsh tackles in previous tournaments, Brazilian player Pele initially refused to take part in the 1970 World Cup. He returned to the side for the qualifying matches and subsequently lit up the finals. The final between Brazil and Italy finished 4-1 and saw Brazil win the World Cup for the third time. 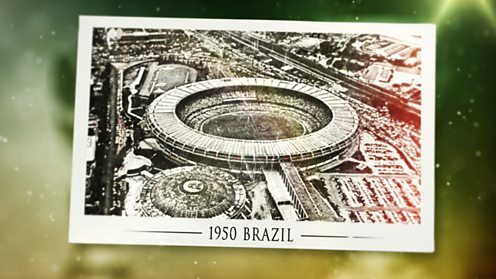 For achieving this feat, Brazil earned the right to retain the Jules Rimet Trophy. The trophy was stolen in 1983 while on display in Rio de Janeiro and never recovered. The 1974 tournament saw 1966 champions England fail to qualify. Scotland, under the management of Willie Ormond, qualified. Despite remaining unbeaten, Scotland went out on goal difference in their group, which included 1970 champions Brazil as well as Zaire, the first team from sub-Saharan Africa to qualify. The Dutch team's innovative brand of ‘total football’ made them strong favourites to win their first World Cup. Inspired by their captain Johan Cruyff, they met host nation West Germany in the final. Germany, led by Franz Beckenbauer, went behind thanks to an early penalty, but ended up winning the match 2-1. England again failed to qualify for the World Cup Finals, hosted by Argentina then under a military dictatorship. Scottish manager Ally MacLeod had fuelled expectations of success at the finals but defeat to Peru and a draw with Iran (making their World Cup finals debut) saw them head home despite a win over the Netherlands. The Dutch team, despite the absence of Cruyff, again made it to the final. There they faced host nation Argentina in front of a fiercely partisan crowd in Buenos Aires. Aided by two goals by tournament top scorer Mario Kempes, Argentina finished extra time as champions with a 3-1 win. 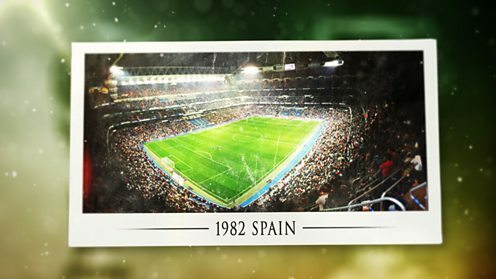 For the 1982 tournament in Spain, the World Cup finals expanded from 16 to 24 teams. The larger finals let more teams from Africa and Asia qualify. Algeria, Honduras, Kuwait and New Zealand made their debuts. Hungary’s 10-1 defeat of El Salvador was the largest margin of victory. After disappointment in 1974 and 1978, Ron Greenwood's England reached the finals, as did Scotland and Billy Bingham’s Northern Ireland who won their group but lost to Austria. Italy beat West Germany 3-1 in Madrid’s Bernabeu Stadium to win their third title. Italian striker Paolo Rossi was top scorer, while keeper Dino Zoff became the oldest player to win. Originally scheduled to be hosted by Colombia, the 1986 finals were switched to Mexico after Colombia ran into financial difficulties. 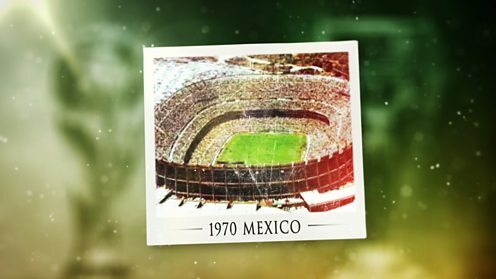 After hosting in 1970, Mexico became the first country to host the World Cup final twice. Canada, Denmark and Iraq made their debuts. 1986 saw the first appearance of the ‘Mexican wave’, a spontaneous show of support from the crowd still used today. 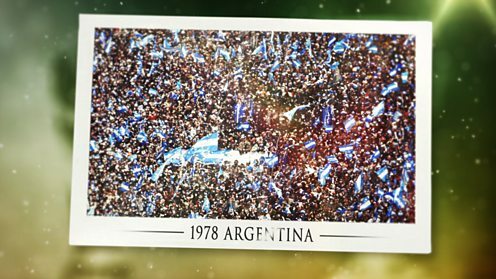 Argentina, with the mercurial Diego Maradona, met West Germany in the final where they lifted the trophy after a 3-2 win. It made German manager Franz Beckenbauer the first person to have lost a World Cup final as both a manager and a player. 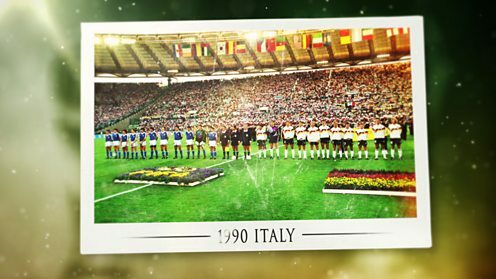 Italy hosted their second World Cup finals in 1990. The Republic of Ireland appeared at their first World Cup, managed by 1966 finalist Jack Charlton. The surprise of the tournament was Cameroon, who went out in the quarter-finals against England. Their 38-year old striker Roger Milla celebrated each of his four goals with a dance around the corner flag. England, including the famously tearful Paul Gascoigne, went out in the semi-finals to West Germany. An ill-tempered final between the Germans and Argentina saw the first two red cards issued in a World Cup final. German Andreas Brehme scored the match's only goal from an 85th minute penalty. 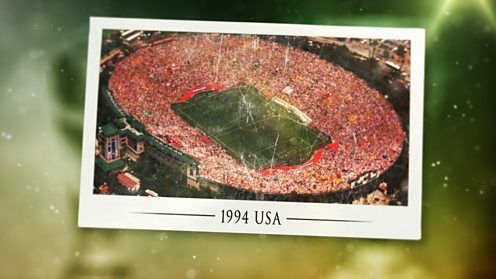 The 1994 finals remain the best attended of any World Cup. It was also the first since 1938 for which neither England nor Scotland qualified. Former winner Diego Maradona was expelled from the finals for a failed drug test. Colombian defender Andres Escobar cost his team a match with an own goal, and was shot dead in Medellín ten days later. 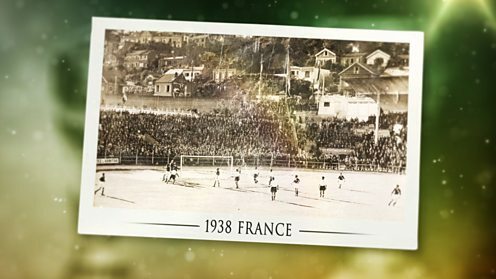 The final in the Rose Bowl, Pasadena, finished goalless after extra time, so the first finals in World Cup history were decided by penalties. After four penalties apiece, Italy’s Roberto Baggio sent his kick over the crossbar and Brazil received the trophy from US Vice-President Al Gore. 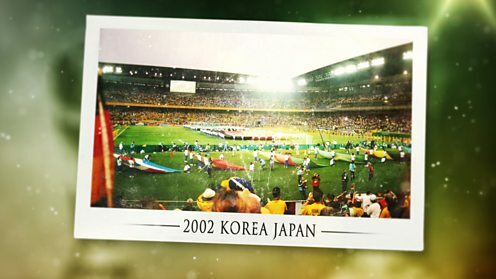 The 1998 World Cup finals expanded the number of teams from 24 to 32 and welcomed Croatia, Jamaica, Japan and South Africa to their first finals. The 'golden goal', or first goal in extra time, now decided draws. Laurent Blanc of France scored the first golden goal against Paraguay. England exited on penalties, a man down after a red card issued to David Beckham. Brazil's striker Ronaldo was initially left off the team sheets for the final after a fit, but was reinstated barely an hour before they faced France. 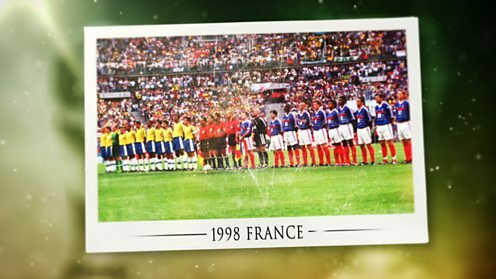 Two goals from Zinedine Zidane and one from Emmanuel Petit won France their first trophy: the sixth team to win on home soil. South Korea and Japan were the first joint hosts and the first Asian hosts. Japan had never qualified before, but as hosts their place was assured. All seven previous World Cup-winning nations qualified. In the first match France lost to newcomers Senegal. After a goalless draw with Uruguay and a loss to Denmark, the reigning champions went out without scoring a single goal. Brazil and Germany met in the final. Striker Ronaldo was on top form, scoring two goals to see Brazil lift the World Cup a record fifth time and Germany defeated in a final for the fourth time. It was Brazilian captain Cafu's third consecutive appearance in a final. 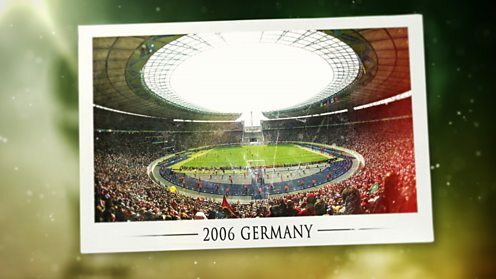 The World Cup returned to a now reunified Germany in 2006. England again went out on penalties, losing in Gelsenkirchen to Portugal. Switzerland suffered even more from the penalty spot as they failed to score any in their second round shoot-out against Ukraine. Before going out of the competition to France, Brazil’s striker Ronaldo scored his 15th World Cup goal, a record that still stands. The World Cup final was won by Italy on penalties after a 1-1 draw with France. The match is most remembered for the wrong reasons, namely Zinedine Zidane’s sending-off in his last-ever match for headbutting Italy's Marco Materazzi. 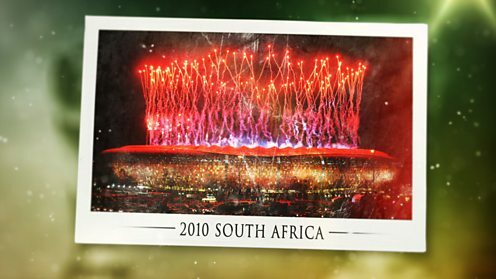 Fifteen years after hosting the Rugby World Cup, South Africa held the Fifa tournament too: the first held in Africa. Vuvuzelas made it a noisy year. England were eliminated 4-1 by Germany in the knockouts: a match that saw Frank Lampard’s shot on goal disallowed despite crossing the line. Incidents like this meant Fifa adopted goal line technology for 2014. Spain defeated the Netherlands 1–0 in the final with an extra time goal from Andres Iniesta, but the match was marred by fouls: English referee Howard Webb issued 14 yellow cards and one red. Spain were the first team since West Germany in 1974 to win the World Cup as European champions. 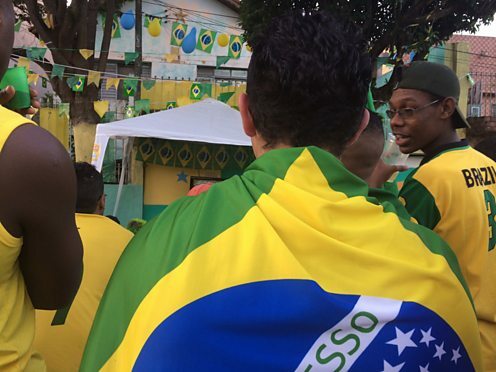 After a qualifying campaign featuring a record 207 nations, the World Cup returned to Brazil. Title holders Spain were unexpectedly eliminated at the group stage, along with previous winners England and Italy. Further shocks came in the semi-finals, when hosts Brazil were beaten 7-1 by eventual winners Germany. Miroslav Klose’s goal in that match was his 16th in the World Cup Finals, a new record for the competition. In winning the cup, Germany became the first European nation to win the tournament in the Americas. 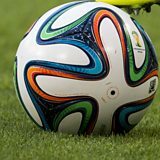 BBC Sport: World Cup 2014iWonder: What makes a perfect penalty? What makes the perfect World Cup shootout penalty? 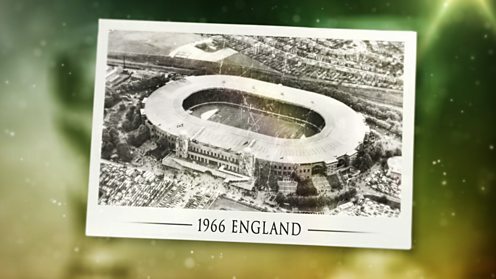 Did the 1966 World Cup mark the birth of modern football?